Naoko Nomura, graduator of painting depertment of Musashino Art University. She is a versatile freelance artist who creates illustrations, paintings, art objeｃts, dolls, costume, stage design, picture books, etc. 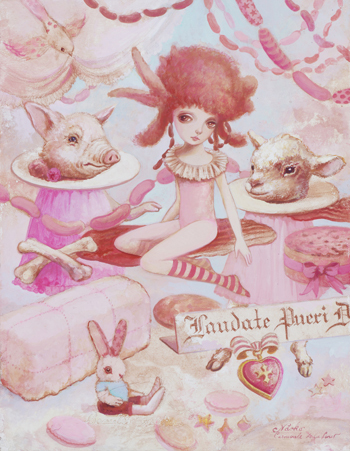 Her work titled “La Fête”(see below), a lovely pink colored work, is now on display in a group show “Shōjo Gensō – Syōjo o meguru gensō” at SPAN ART GALLERY(Ginza, Tokyo). The show will be held until December 10, Saturday this week. 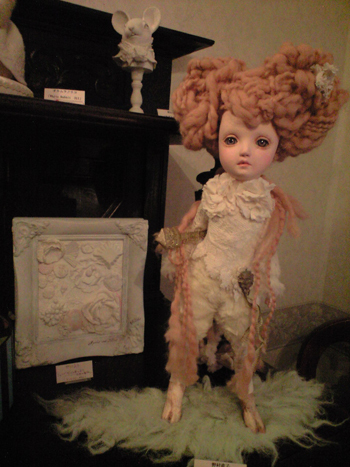 Copyright © Naoko Nomura All Rights Reserved.